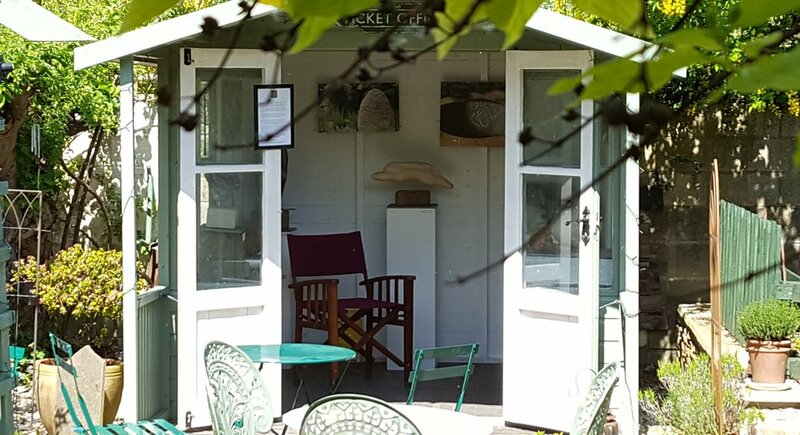 Our home in the Cotswold Water Park was once the Station Master’s house so the Ticket Office name seemed apt when we created the studio and gallery. This is where I spend most of my time either carving, sketching out ideas or teaching. "Wonderful forms and textures so well linked to the different materials. It's fascinating to see Dave at work in his studio - Thank You!" You can see (and touch!) the work for sale in the gallery and around the garden. The garden is a peaceful place to sit and watch the wildlife in Spring and Summer. Some of my work is perfectly happy outside in most weathers whilst other pieces are most definitely for indoors, depending on the stone used. "Lovely tranquil setting for some beautiful work." You'll usually find me in the studio at weekends during the Spring and Summer, and occasionally during the week. If the bike is outside, we are at home! If you would like to see my work or discuss a commission do pay a visit but please call first if you are making a special trip (07806 705065).